On any given morning I can be any one of these parent types. Which one are you? These neighborhood parents are only a stone’s throw from school and are lucky enough to avoid the drop-off line by walking their kids into school. This elite group of locals will subtly flaunt their real estate achievement by coming in through secret back gates, down hillsides and even through a forest of trees if need be. They’ll sip coffee or tea through their favorite ceramic mug to let everyone know, they live so freaking close that they walked here and didn’t even have to transfer their hot beverage into a travel container. Just like in the hallowed halls of Vogue a laThe Devil Wears Prada, these office moms work the blacktop like it’s their own personal runway. 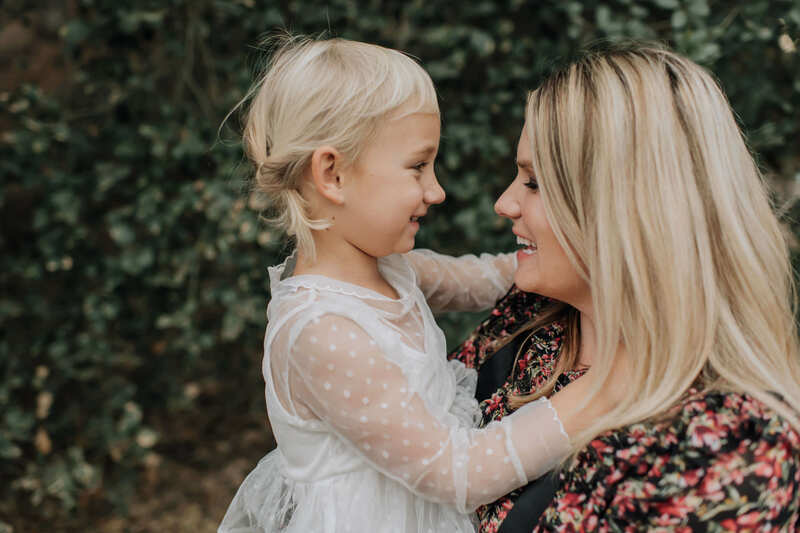 Despite the fact that they probably have a pair of flats in their car that they’ll wear for the better ½ of the day, these moms want to be sure you know that they aren’t just a multi-level marketer. They are a full time, spends 40 hours a week with adults, got up an hour early to look this good mom. Oh, and she’s such a professional that her “don’t ask me to volunteer” vibes are being read loud and clear by the room moms. Calling it a PTA is so dated this is a Foundation and this mom is a board member. You’re reading it right, she’s a honest to goodness ELECTED official. She might not actually have quite as much power as it appears but this mom pulls so much weight at school that she goes behind the counter of the office’s front desk, into the break room and she is so brazen that you might even catch her walking around midday with no visitor pass because everyone just knows who she is. Basically, being a stay-at-home mom without having a revenue stream is a thing of the past. Almost all the moms in my great state of California slang some beauty or lifestyle product in hopes of reaching that elite sales status of vacations and cars and plaques with their names on them. They are easily identifiable by that one perfectly optimized feature. It typically revolves around hair, skin or lips while the rest of their appearance looks totally normal. If at drop off you see a mom with a bright red smudge-proof lip but paired with pajamas you’ve likely found your Lipsense retailer. With the new trend of Activewear, everywhere, it’s increasingly hard to tell who is actually on their way to work out and who is lucky enough to just live in stretchy pants all day. An upgrade from dropping off in pajamas, activewear leaves everyone thinking that as soon as the second bell rings ½ of the parents are immediately heading on marathon runs, cycle studios or for some HIIT training. But the funny thing is if you come for pick up you’ll probably notice many of these same parents in the same sweatless clothes without so much as a hair out of place. Which begs the question, how are you all affording to be dipped in Lulu without joining the clackers at an office? These millennials are easy to spot by their youthful glow, lack of caffeine and almost-but-not-quiet borderline inappropriate little too tight, too short, too much skin exposed. We’d be more offended if they weren’t so completely unaware, unaffected by our old opinions, and looking so good in the process. No one has any idea of what type of job their long beard, skinny jeans and skateboard are well suited for but somehow it all works and keeps all the other parents highly intrigued. This mom (let’s face it Dad’s know how to avoid this one) is basically the classroom customer service department until that first bell rings. “Yes, I know Room 10 got the Jog-a-Thon details, I promise ours is going out tonight. No, the teacher didn’t text me this morning before she called in sick. Why don’t you all just Venmo me and I’ll get the basket stuff.” Anytime a bouquet of flowers make their way across the blacktop in the morning she probably fears that her recurring nightmare came true and she’s forgotten teacher appreciation week. In sharp contrast to “my firstborn is in kindergarten mom” this seasoned pro cruises through the school with an ease that can only be explained by the fact that she’s done this twice before. Someone else is probably picking up her youngest because she’s carefully curated a large social circle and playdates are her lifeline to balance a household of pre-teens + a child. If you want the scoop on what middle school is like this is a great friend to make. Just be prepared to hear “little kids little problems, big kids big problems” on repeat. You get a call out of your own even though you are probably a lot of the types above. The variety of excitement that dads dropping off at the playground brings always far outweighs the moms. The person that our friends have carefully crafted a persona for behind your back arrives in the flesh and blood and we can’t be more excited to see you. There are none of the same set of rule knowledge and expectations that there are for moms so go ahead and show up late without checking into the office or getting it marked as a tardy, you’re a dad doing drop off. Remember how exciting it was the first time you saw a celebrity in real life. Take that feeling and dial it down by like 10,000 and that’s sort of what it’s like having an “Instagram Influencer” on campus. Looking across the schoolyard you’ll be thinking about that sponsored hotel stay her family just got home from and that witty joke she has about parenting. Maybe you’ll discover that you like her online persona better than the real-life person, maybe you’ll hit it off and you’ll be whisked to free yet staged “girl’s trips” or maybe you can use her platform to leverage your multi-level marketing sales. As much as we want to believe that we are breaking the mold with our personalities, we are all a lot more alike than we think. Rather than using the generalizations to find reasons we might not get along with each other, use them as tools to communicate better. You might not be best friends forever with one of these types but there is no reason you can’t find some common ground, look past your differences and acknowledge your similarity; that we are all parents just trying to do best for our kids and not lose who we are as individuals in the process. Who did I leave out? Leave your comment below! I’m dying laughing at this! You totally nailed it- and I love your honesty. You could have included a few more moms… like the foreign mom, the ‘is it a nanny or a mom mom’, the ‘I have 4 kids under 4 mom and you’re lucky I have pants on mom’… and so much more! Just discovered your blog. Love it!